From the wrath of Macbeth to the kindness of Margaret, from the warrior-like Robert I to the poetic charms of James I, from the romantic spirit of Mary, Queen of Scots to the trend-setting George IV - the Kings and Queens of Scotland are brought vividly to life in this colorful pageant of characters, and there are many tales of scheming and fighting along the way. The book features photographs, portraits, prints and etchings, and interesting objects from National Museums Scotland and other national collections. It also contains an additional 8-page section of facts and activities for children of 7-10. 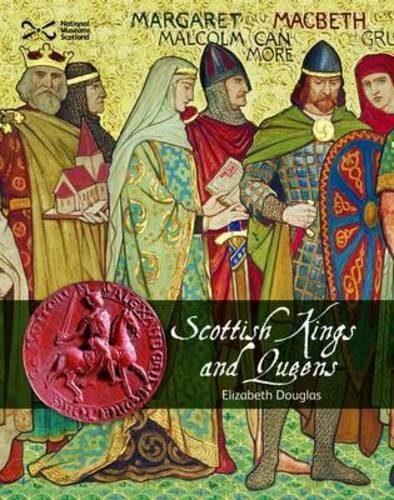 You can find out: which King was known as 'Great Chief' or 'Big Head'; what Robert the Bruce learned from the spider; which King died because of a blocked drain; which King would wander about in disguise; and, how Mary, Queen of Scots escaped from an island castle. The new look Scotties are exciting, full-color information books containing a wealth of interesting facts, illustrations and photographs.